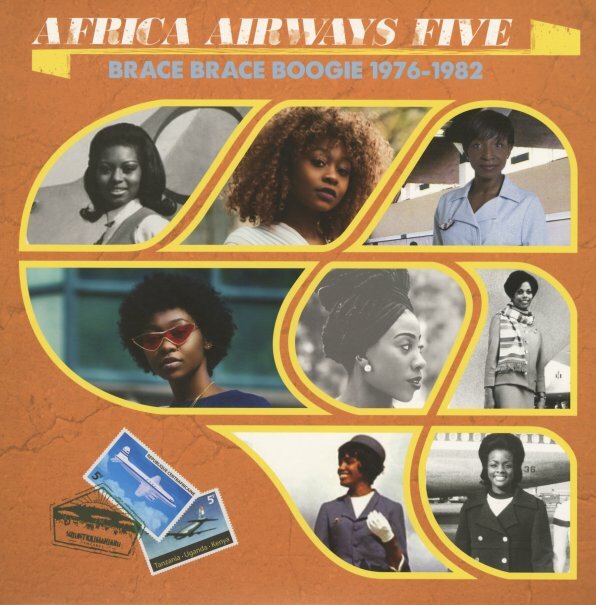 Africa Airways takes to the skies again – and delivers a wonderful batch of funky soul tracks from the end of the 70s and start of the 80s! The work here is from a period when groups from Nigeria and other scenes were starting to absorb a lot more direct influences from American soul – especially clubbier modes of the disco generation, which were used to create a homespun variety of boogie – in a mode that really dominates this set! Lots of these tracks have upbeat vibes, tight rhythms, and strongly soulful elements in the lead – and titles include "Fine Biscuits" by Dikalo, "Angona Mana" by Mekongo President, "Chibidaba Chibidaba" by JK Mandengue, "Sugar Lump (edit)" by Tala AM, "French Girl" by Fotso, "Dashiki (inst)" by Mulamba, and "Too Young" by Jide Obe. © 1996-2019, Dusty Groove, Inc.